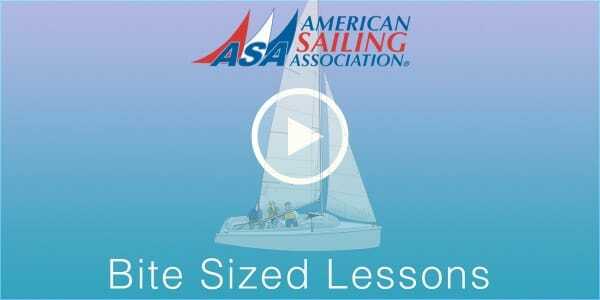 We know that learning to sail can be overwhelming and there is a lot to take in. In an effort to help we’ve created a series of “Bite Sized Lessons” taken straight out or our textbooks – Sailing Made Easy and Basic Cruising Made Easy. In this lesson we take a look at who has the right of way as two sailboats approach each other; one on starboard tack, the other on port tack. In this lesson we take a look at common VHF channels and what they are used for. In this lesson we take a look at anchoring and the meaning of the terms “rode” and “scope”. In this lesson we take a look at what happens when there is a “man overboard” and learn the important Y.T.P.S.C. acronym that reminds us what the first 5 steps should always be. In this lesson we take a look at aids to navigation. We explain the basic rules and talk about their colors, shapes and numbers. 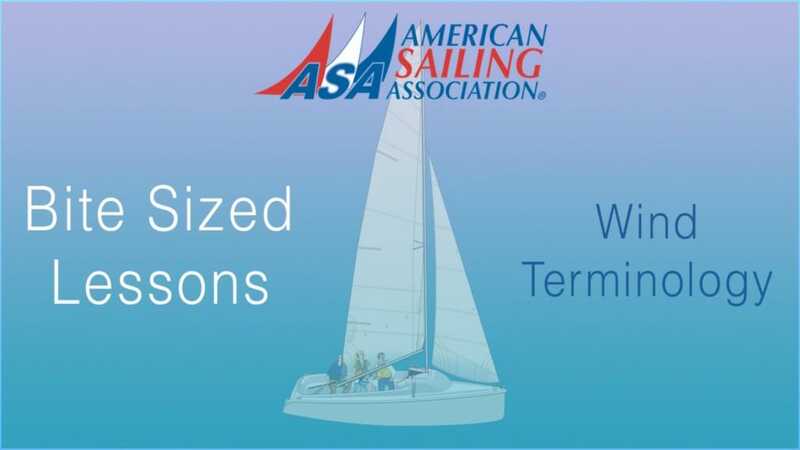 In this lesson we take a look at some sailing terminology used when talking about wind. Learn what an easterly wind is and the difference between onshore and offshore breezes. In this lesson we take a look at the concept of apparent wind. This important concept often confuses beginner sailors so this video should help everyone better understand the relationship between true wind and apparent wind. In this lesson we take a look at some of the do’s and don’ts when it comes to hypothermia. Prolonged exposure to wind, spray, and cold when on deck, and any length of time spent in the water, can elevate your chances of becoming hypothermic. 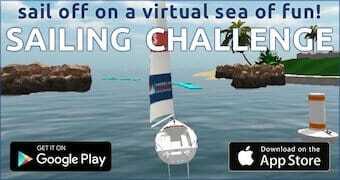 Also be sure to check out our Sailing Made Easy videos and our Docking Made Easy videos.